Sign up for the VIP list and receive 3 free short horror stories plus copious amounts of weirdness and horror. 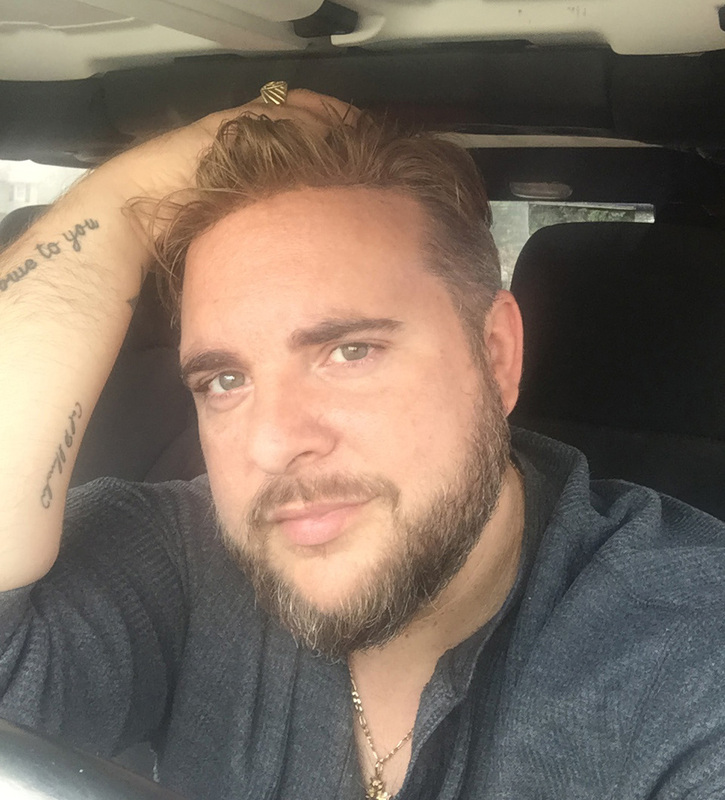 As a #1 Best Selling horror author, wannabe cryptozoologist/monster hunter, and fan of general weirdness (both real and imagined), I’ve traveled over 100,000 miles seeking out everything from haunted asylums and UFO crash sites to creatures like Bigfoot and the Mothman. In a previous life, I worked as a hack in the independent movie industry, but I think my current career is much more exciting. My ﬁrst books were offbeat travelogues, but recently my zombie apocalypse series, "Life of the Dead", has been a bestseller online and has grossed out readers all over the globe. 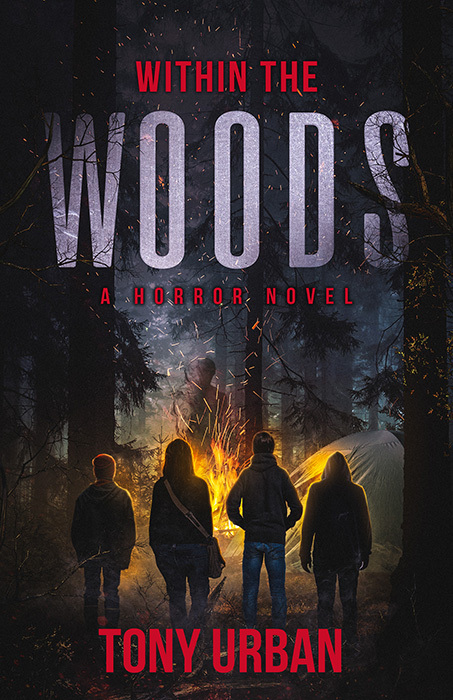 I recently finished that series and penned a stand-alone horror novel called, “Within the Woods” which is loosely based on real events. Very loosely. I’m currently in various stages of completion for multiple new novels and series. I’m a Jeeper who always tries to wave, a huge fan of dogs, and a passionate loner. I love road trips and dirt roads and I’m obsessed with Maine. How obsessed? I have the state outline tattooed on my arm. I enjoy a good conspiracy theory a little too much and I watch a ridiculous quantity of horror movies. My ultimate goal in life is to be killed by a monster thought by most to be imaginary. Sasquatch, werewolves, chupacabras... I’m not picky. If that fails, I’d enjoy a long and prosperous career as a full time writer. Which of those two scenarios is more likely is up to the readers to decide. For 12-year-old Garrett and his four best friends, the idyllic summer of 1989 crashes to a halt when Garrett's older brother vanishes. Something is very wrong in Sallow Creek, Pennsylvania. Monsters that are coming for the them. Their small town is under siege, but the adults refuse to believe the truth. Can five young misfits and outcasts save the day? For fans of Stranger Things, Stephen King, Stand By Me, The Goonies, etc. comes a thrilling new novel from #1 best-selling horror author Tony Urban. Read Within the Woods now because growing up has never been so scary. 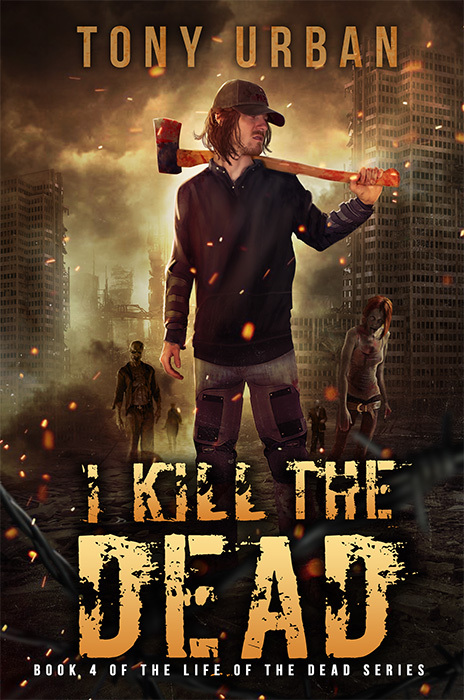 "One of the best if not the best zombie series I've ever read and I've read them for years. Believable characters, consistent in their personalities, lovable and "hatable", and the type of read you literally cannot lay down. - Kim Petrey"
Could you kill your friend, your parent, your child, to save yourself? Would you risk your life to save that of a stranger? Heroes and villains rise from the ashes of what used to be civilization and an epic, blood-soaked, and brutally realistic post-apocalyptic adventure begins. Book 2 in the in the even more epic, Life of the Dead series. Book 3 in the in the wildly epic, Life of the Dead series. A collection of 20 spine-tingling tales of horror from best-selling authors. "Hell on Earth" is Tony's debut novel and the first book in the epic Life of the Dead series. Signed paperbacks are $10 plus $5 shipping. "Road of the Damned" is Tony's second book in the epic Life of the Dead series. Signed paperbacks are $10 plus $5 shipping. "The Ark" is Tony's third book in the epic Life of the Dead series. Signed paperbacks are $10 plus $5 shipping. Tony's second horror-themed travelogue was dedicated to West by God Virginia! Signed first edition hard cover books are available for $20 plus $8 shipping. Buy a signed hardcover first edition of Tony's debut book, Travelogue of Horror. $20 plus $8 shipping. Read the horror anthology which reached #1 on the Amazon best seller list. This signed paperback is over 700 pages of horror and features short stories by Tony Urban and 19 other international authors. Paperback copies are very limited and only $15 plus $5 shipping. My preferred means of communication is via message in a bottle. But, if you don't want to wait years for a response, feel free to email me. Have you ever seen a monster? Do I really have to check a box?